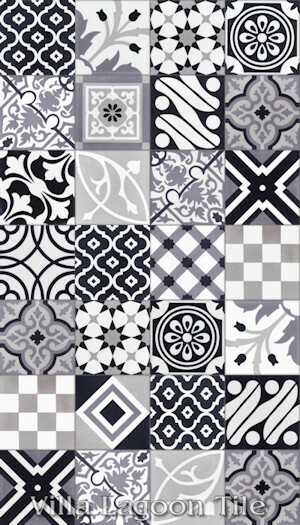 Please Note: Our patchwork sets change and evolve over time. 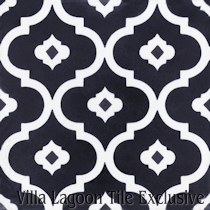 The depictions above show the patterns and colors of our current set. 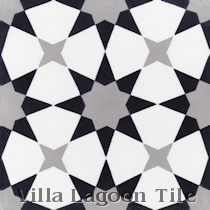 Depictions of prior installations may contain patterns no longer in stock. 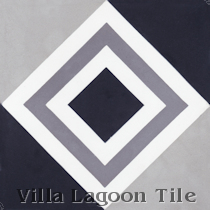 Actual shipment may contain a slight variance in ratios, or a small percentage of alternate tiles. 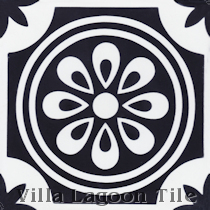 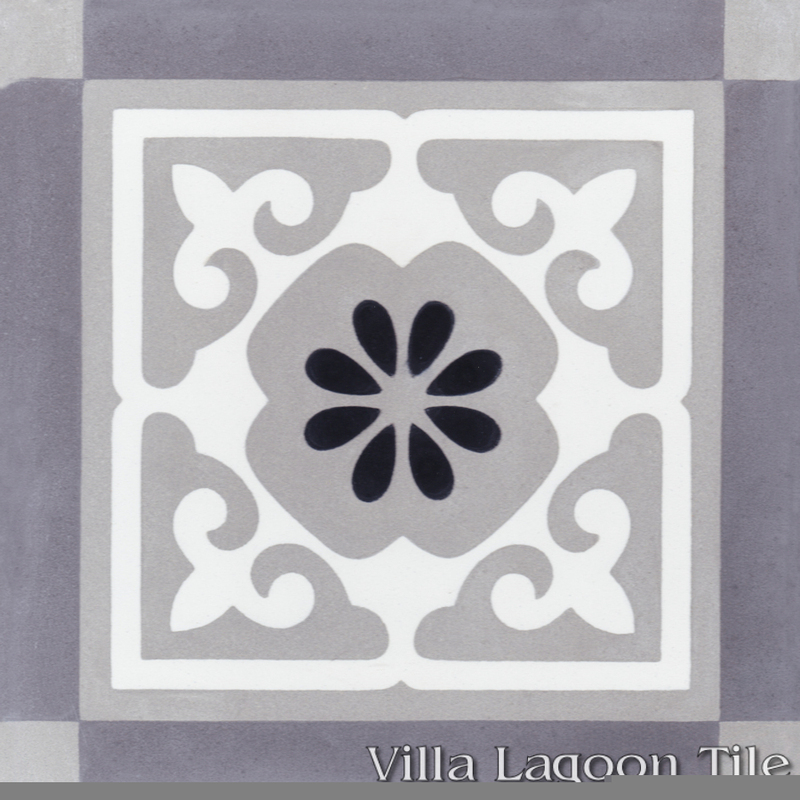 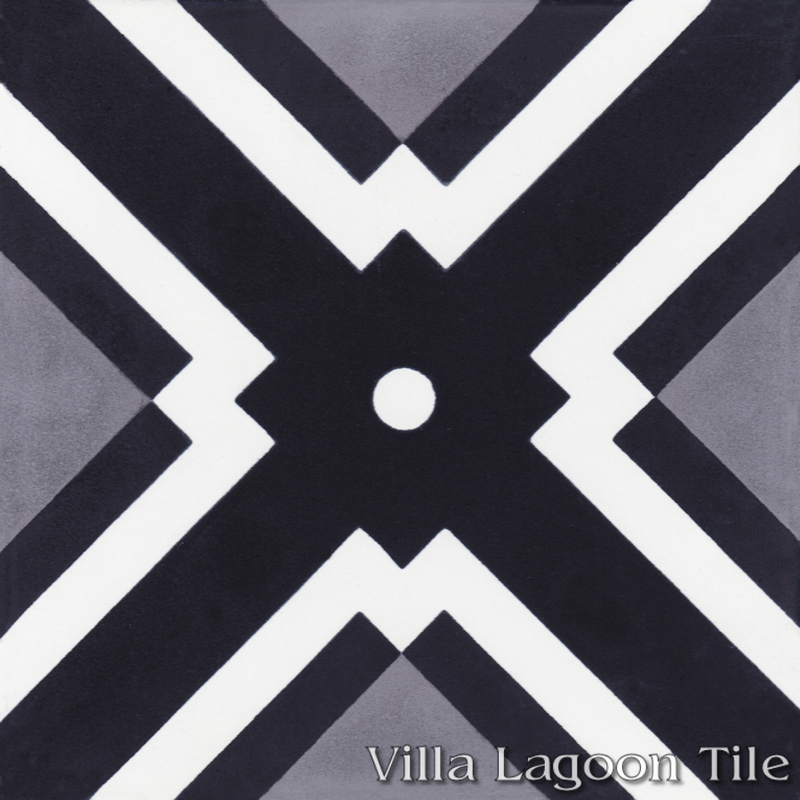 This is a collection of 15 cement tile patterns, using Black, White, Featherstone, and Excalibur from the South Beach Palette. 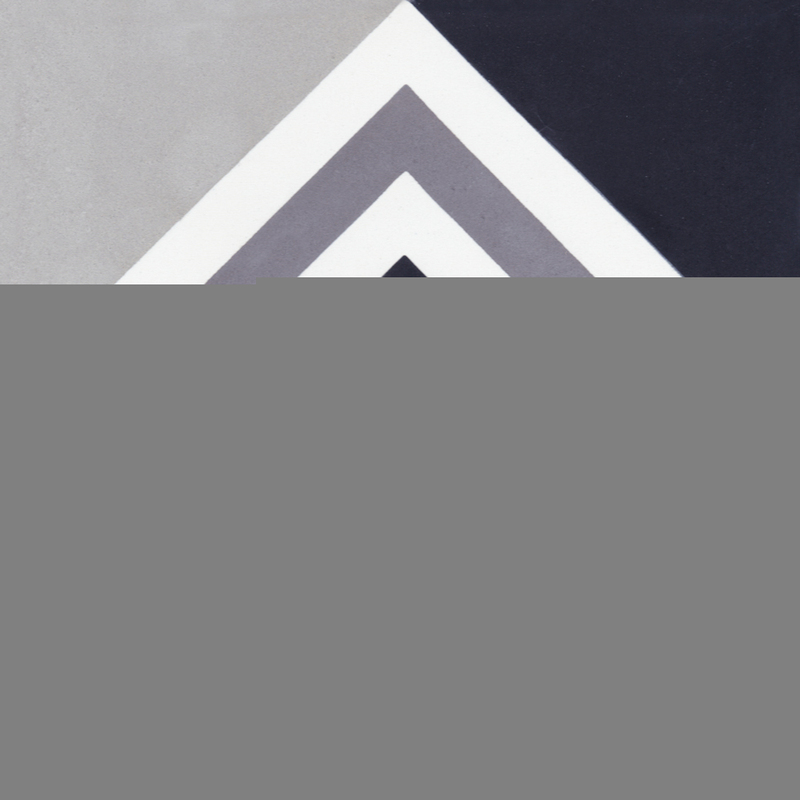 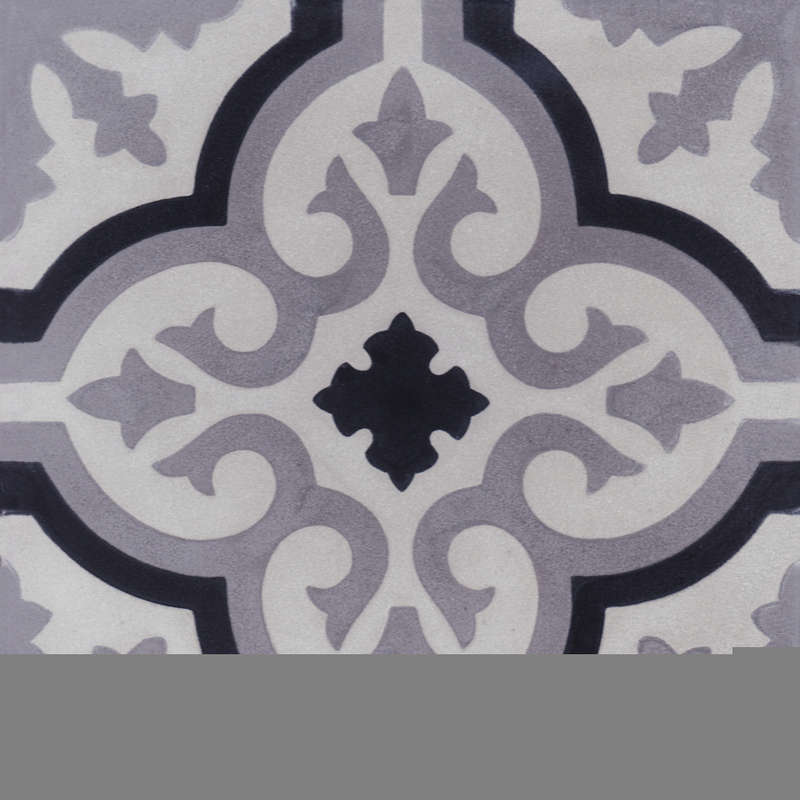 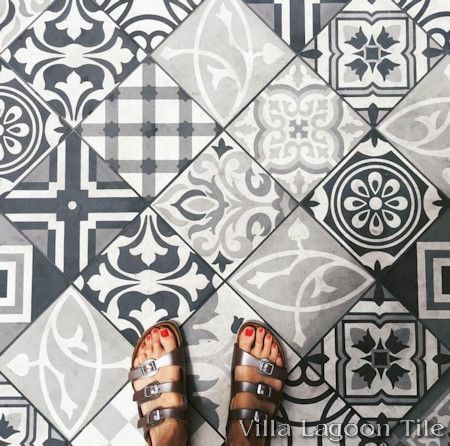 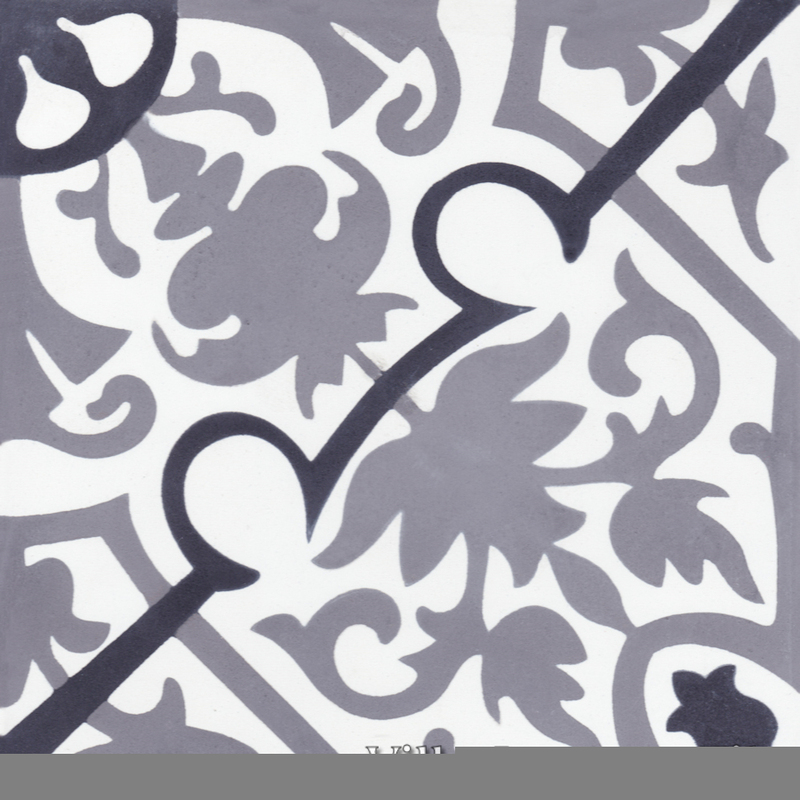 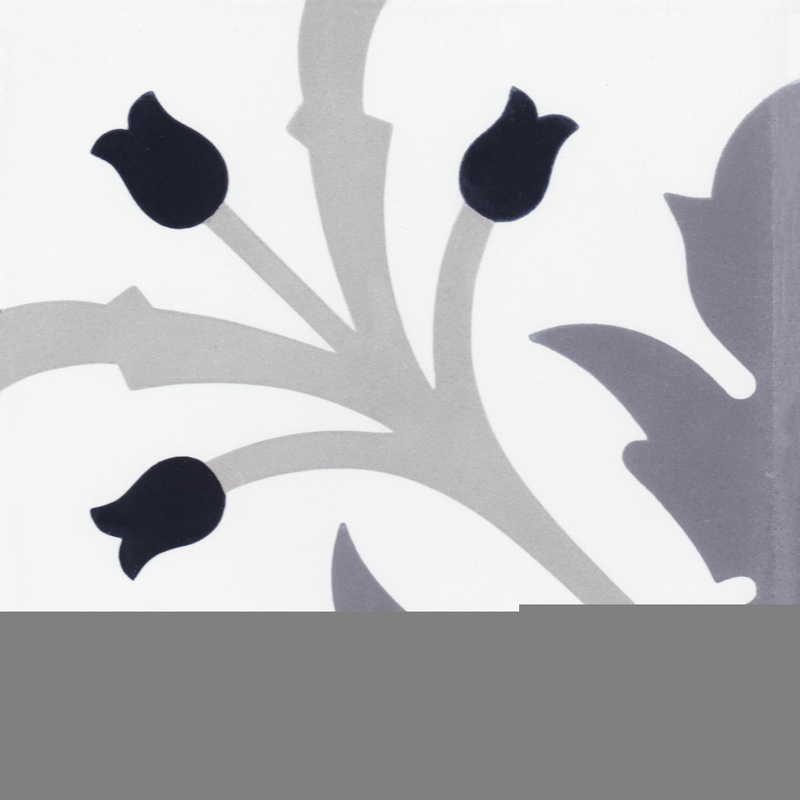 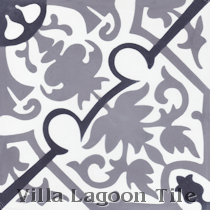 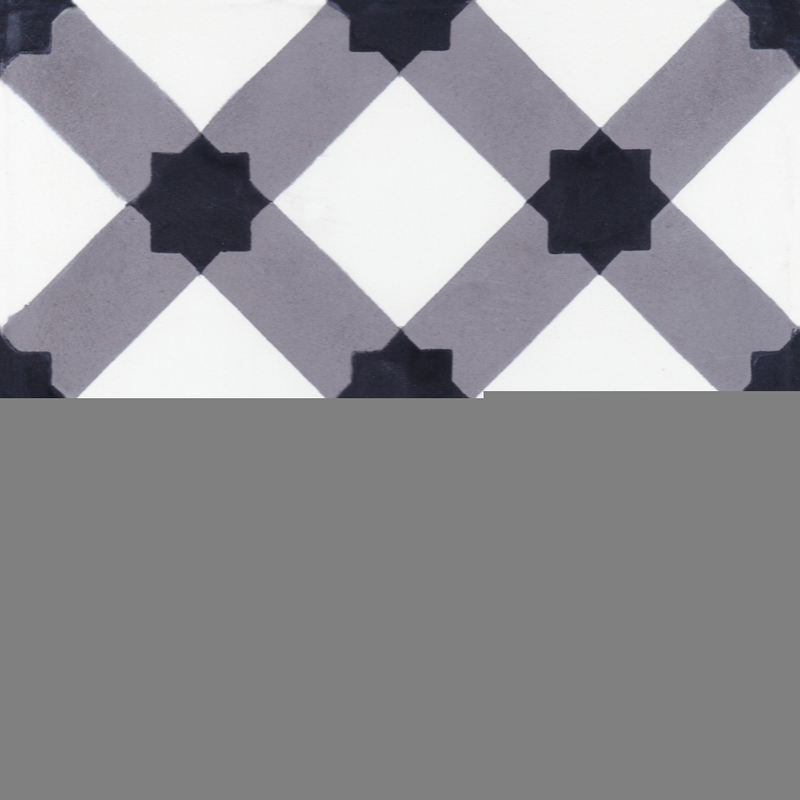 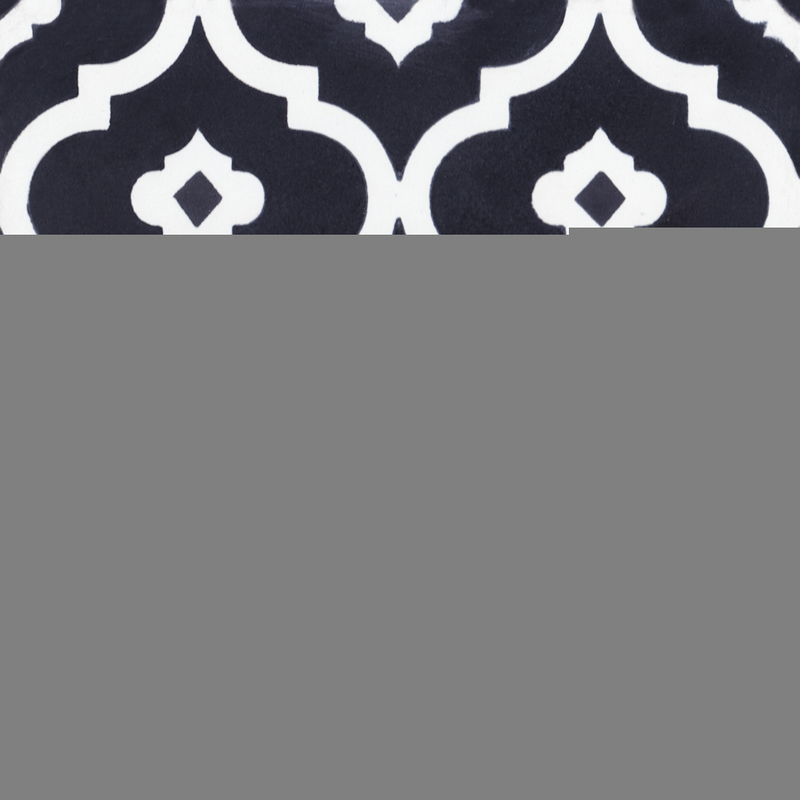 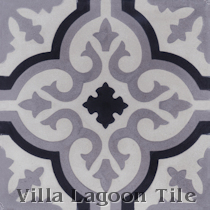 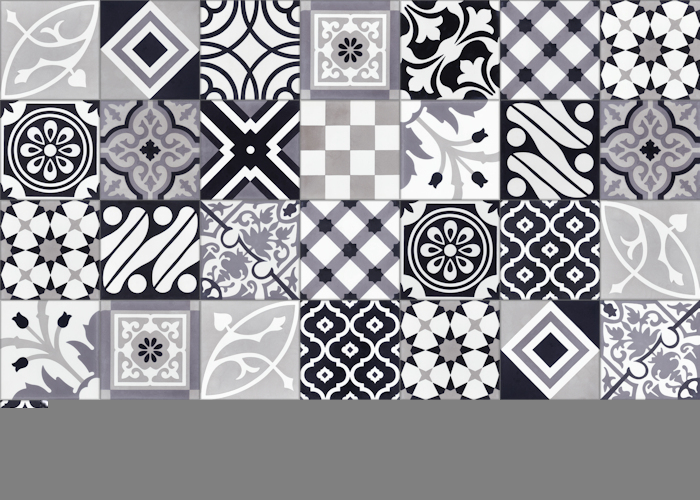 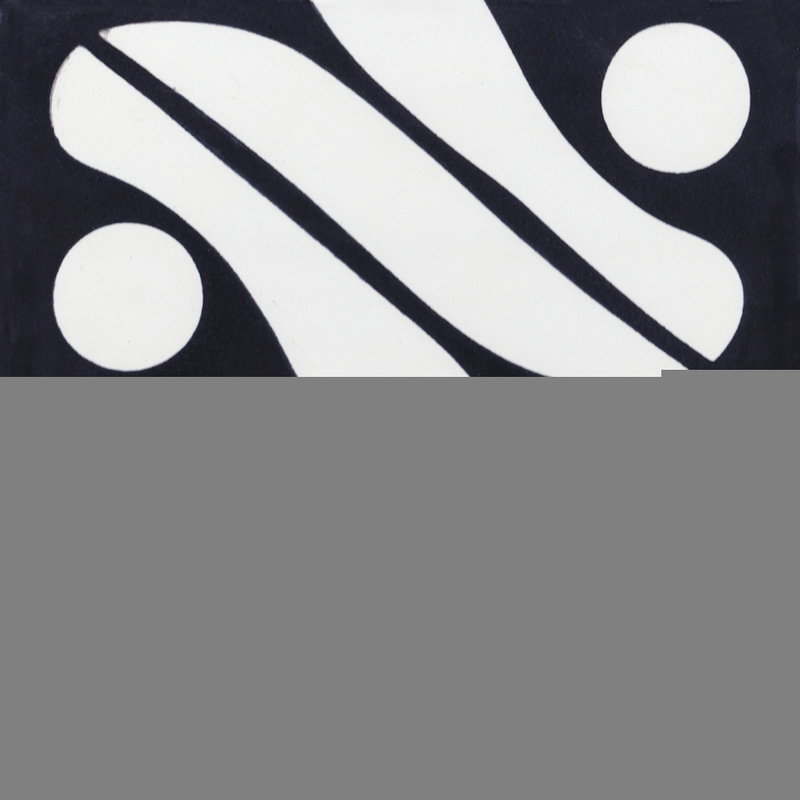 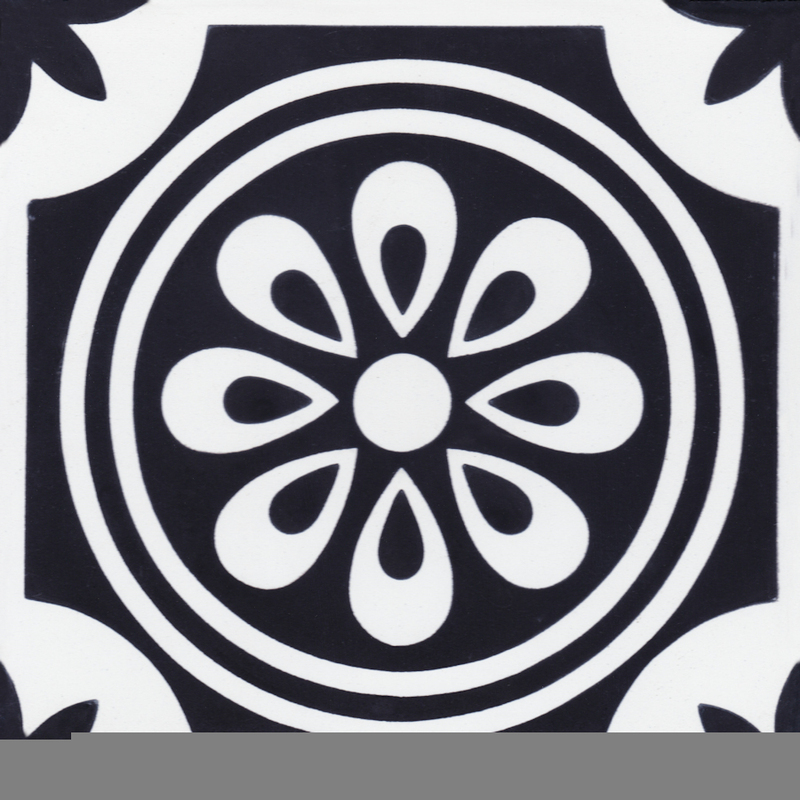 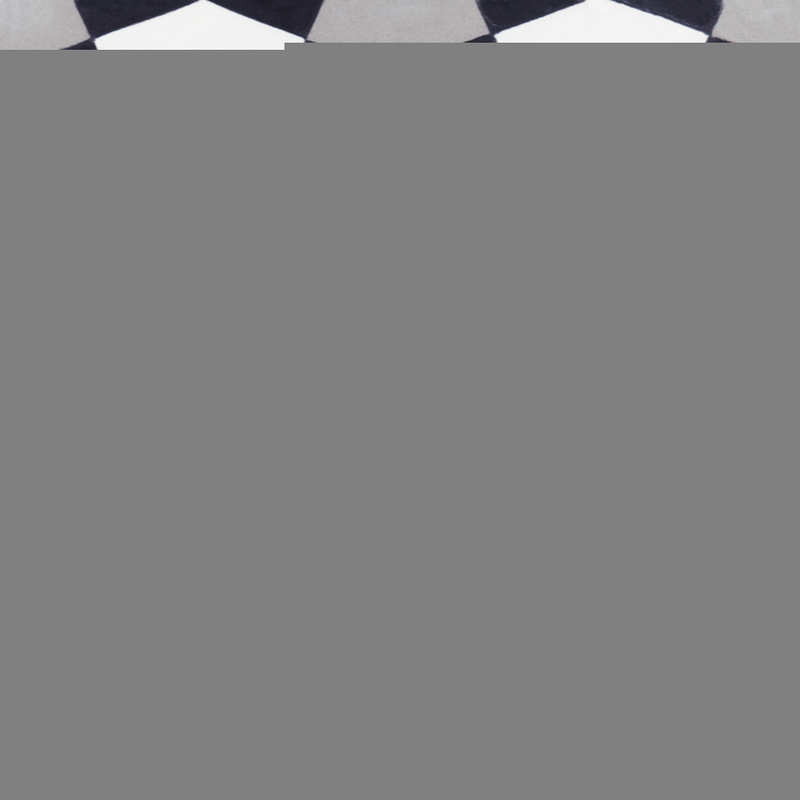 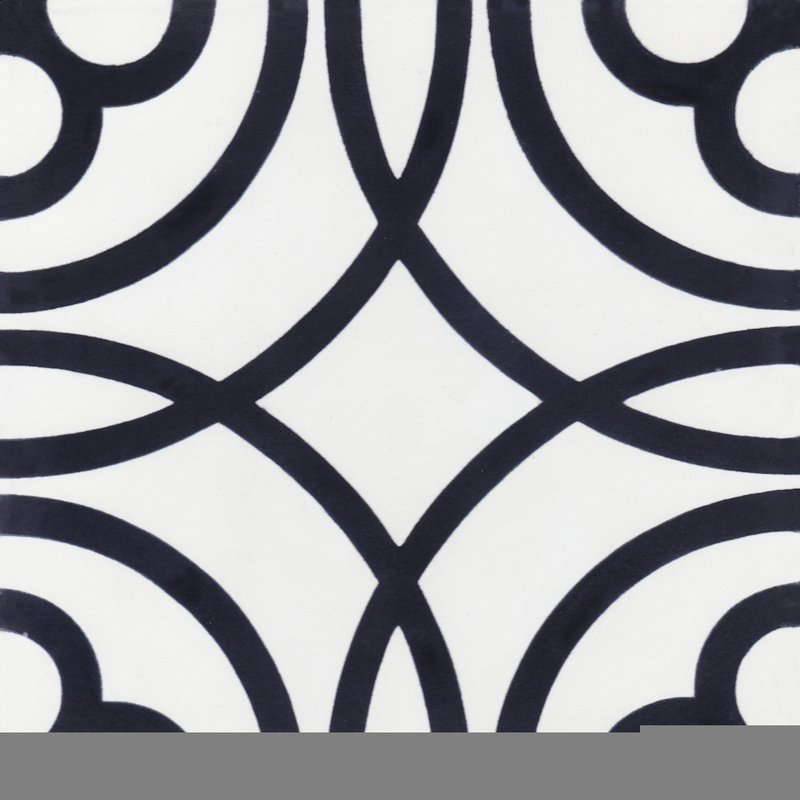 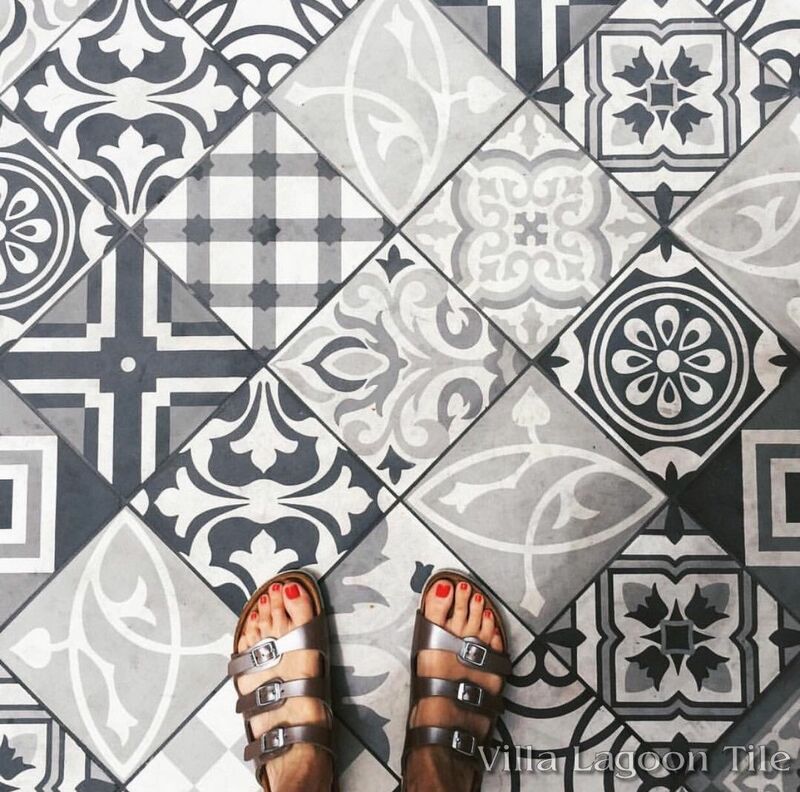 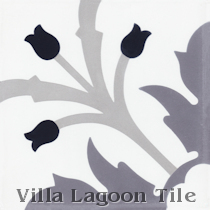 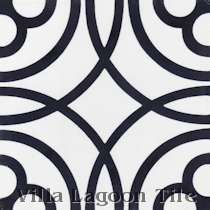 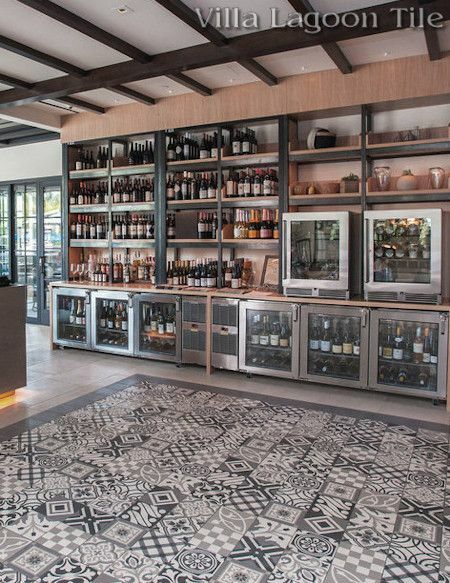 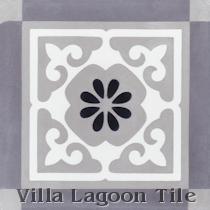 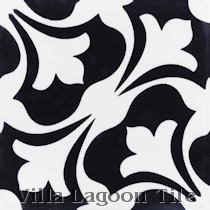 Cement tile patchworks can inject your spaces with fun, casual surfaces. 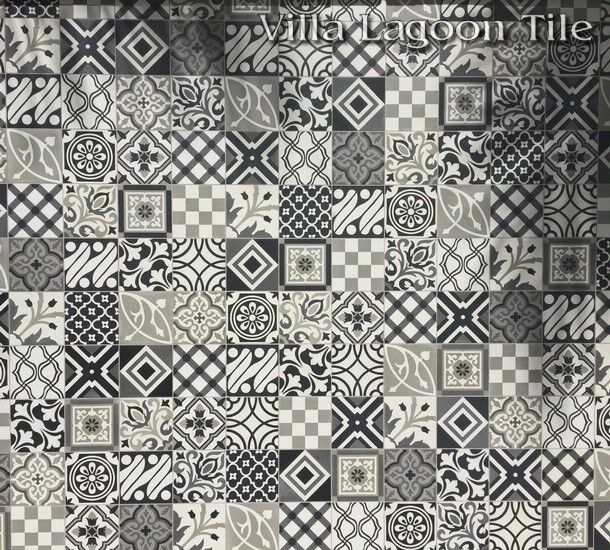 While you can always design your own blend, we've pre-selected this balanced blend in black white and grays for your convenience. 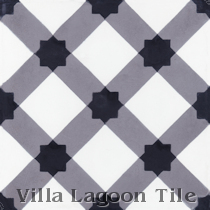 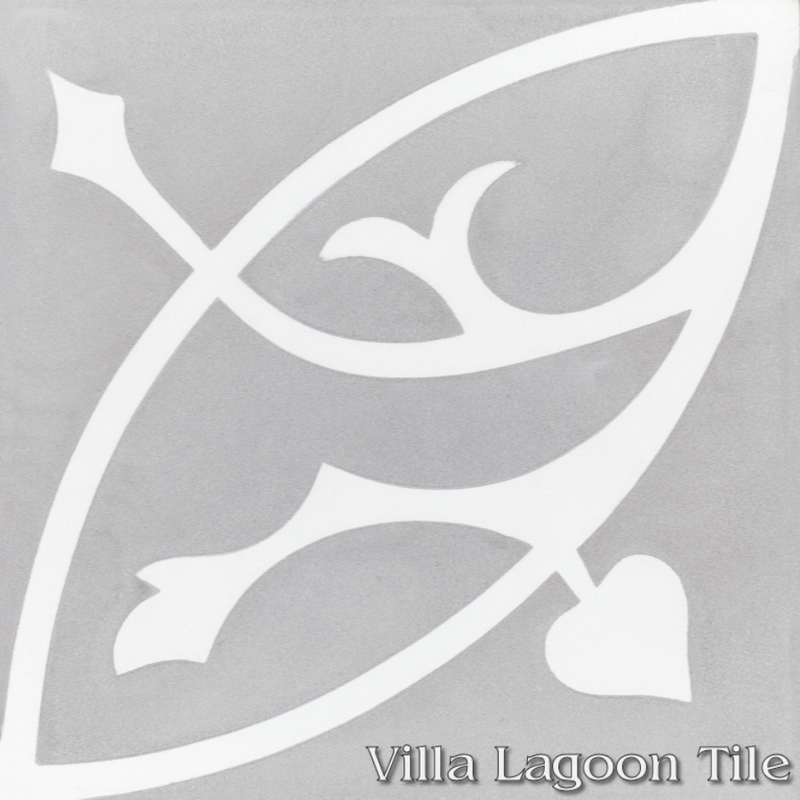 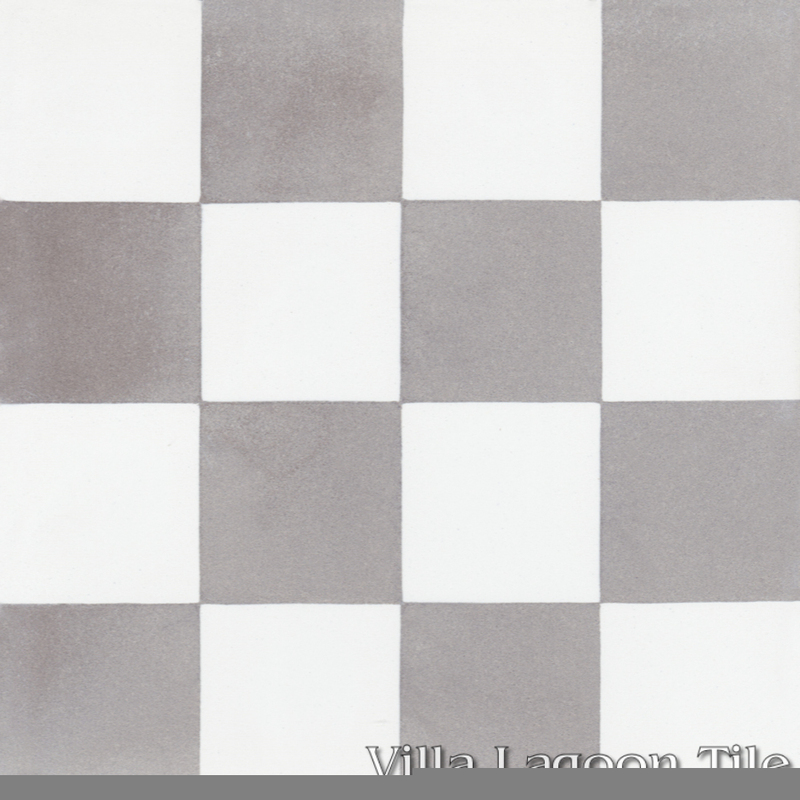 Standard Price:$6.90 per tile ($15.87 / square foot)12 tiles per box. 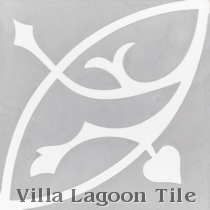 26 square foot minimum order. 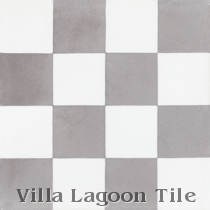 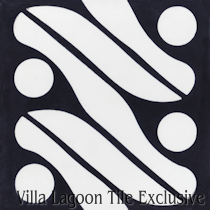 These tiles are sold as a collection, with a minimum 5 boxes to achieve the full mix. Additional cases pull from the lot in rotation to maintain an even mix of the production run. 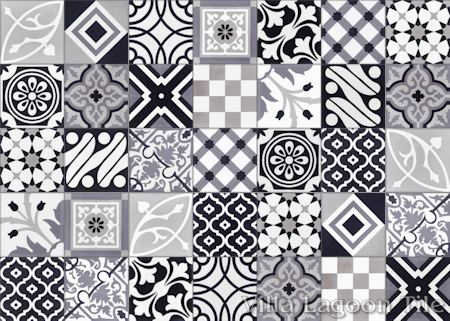 If you require more control over your patchwork, you may consider ordering custom tile. 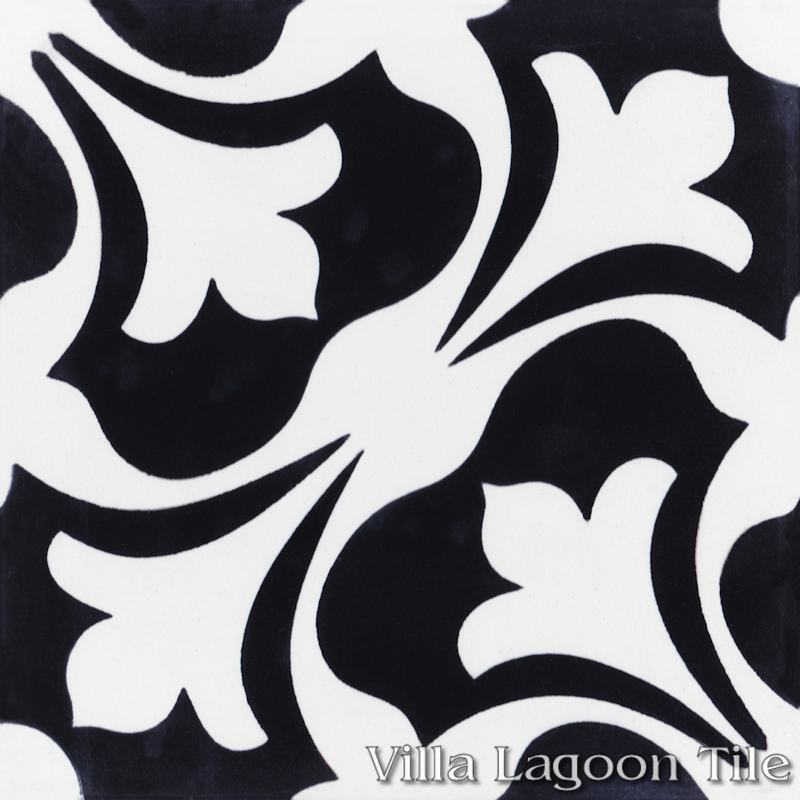 Four Seasons Residence Club Aviara, by Puccini Group.